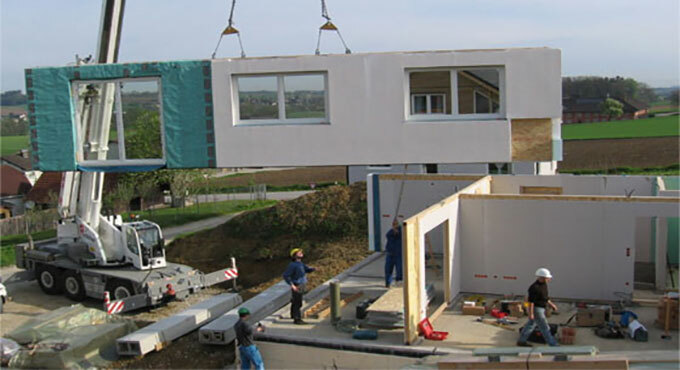 This is a time lapse construction video on developing a prefabricated modular house. A prefabricated building alias a prefab building, is a kind of building that is constructed with various factory-built components or units. These components are fabricated on-site to accomplish the unit. In recent times, various types of "green" materials are utilized for developing these prefab houses. One can easily chose among diverse eco-friendly finishes and wall systems. Because these homes are constructed in parts, a home owner can conveniently insert supplementary rooms as well as solar panels to the roofs. Many prefab houses can be tailored according to particular location & climate as required by clients. So, prefab homes become much more flexible.